MHRD launched Free Test Practice Centres for JEE, NET Exam 2018: Ministry of Human Resource Development, MHRD launched test practice centres for JEE and NET in different districts of Telangana and Andhra Pradesh on September 17, 2018. Free test practice centres have been set up to help students in preparation of Joint Entrance examination, JEE and National Eligibility Test, NET. This would facilitate students to get a clearer idea of the changed JEE and NET exam pattern. Around 3,406 test practice centres are established in 17 districts of Telangana and 122 in 13 districts of Andhra Pradesh with availability of 21,667 computers. 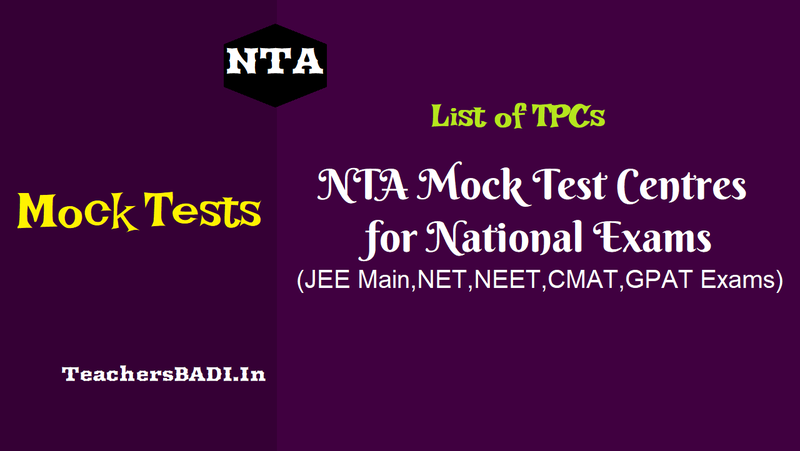 Students residing in Telangana and Andhra Pradesh can use the facility of these test centres for free and practice mock test papers. The sessions at the test centres would be provided in two shifts. On Saturdays the practice sessions would be made available at 2:30 pm to 5:30 pm. On Sundays two sessions would be provided, one at 11 am to 2 pm in the morning and other at 2: 30 pm to 5: 30 pm in the evening. MHRD launched the test centres to help students prepare better for the entrance exams of JEE nad NET. MHRD’s press release stated, "To provide facility for practice for changed pattern, National Testing Agency (NTA) established test practice centres across India. NTA launched practice app through which students can practice on their computers or smart phones." Now JEE preparation is just a click way, as students can also now access IIT Pal (Professor Assisted learning) on Swayam platform on their smart phones to watch video lectures.